CF-ODT at Tukanee Lake, Ontario. CF-ODT dockside at Tukanee Lake. 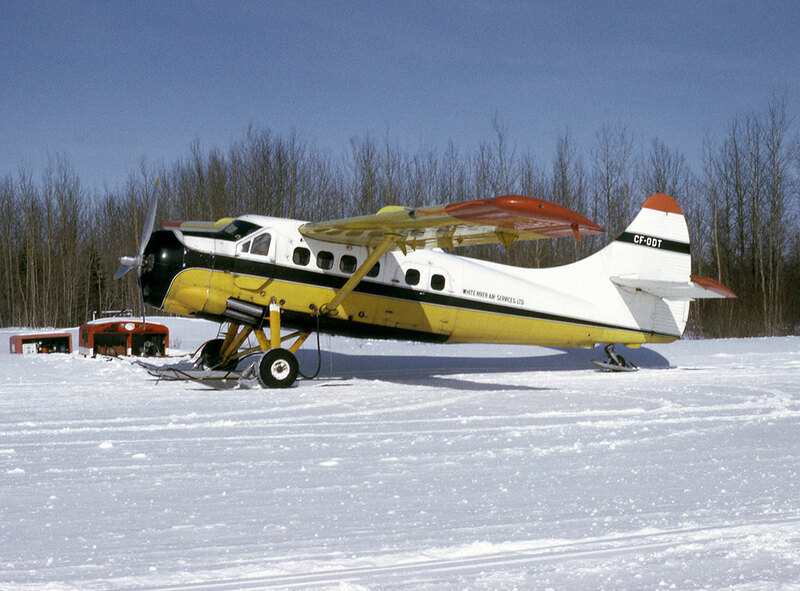 CF-ODT in winter mode at Nakina, Ontario. C-FODT at Lac Sébastien, Québec. C-FODT as she was in 2016. C-FODT glassy water landing at Leaf River. • CF-ODT Ontario Provincial Air Service (OPAS), Sault Ste. Marie, ON. Delivered 29-Apr-1957. Accident: Dogtooth Lake, 20mls south east of Kenora, ON. 26-Jun-1961. During a water dropping mission, whilst positioning to pick up water a wing touched the lake surface during a turn. Despite trying to power away. the pilot lost control of his aircraft which collided with trees and then struck the water in a nose down attitude. The pilot escaped to the shore and the aircraft was only partly salvaged. Full story below. • CF-ODT White River Air Services, White River, ON. Dates currently unknown. • C-FODT Returned to White River Air Services, Timmins, ON. in 1975. • C-FODT Leased to Austin Airways, an associated company of White River Air. Dates unknown. • C-FODT Pickle Lake Air Services Ltd., Pickle Lake, ON. Regd in July 1983. Canx 09-Jan-1987. • C-FODT V. Kelner Airways Ltd., Pickle Lake, ON. Regd 02-Mar-1987. Canx 15-Jul-1988. • C-FODT Paul Petawabano, Mistassini Lake, Baie Du Poste. QC. Regd 13-Jul-1988. Canx 14-Jun-1989. • C-FODT Waasheshkun Airways Ltd / Compagnie D'Aviation Waasheshkun Ltée., Baie-du-Poste (Mistassini Lake), QC. Regd 01-Nov-1989. Canx 24-Mar-1994. • C-FODT Andre Bernier, Entrepreneur Forestier (1993) Inc., St Félicien, QC. Based Dolbeau, QC. • C-FODT Expeditair (1989) Inc., Alma, QC. Based Dolbeau, QC. Regd 17-Jun-1994. Canx 23-Sep-1999. • C-FODT Air Saguenay (1980) Inc., Jonquière, QC. Regd 23-Sep-1999 & 02-Sep-2003. • Texas Turbine Otter (conversion number twenty) converted winter 2005 / 2006 at Recon Air. 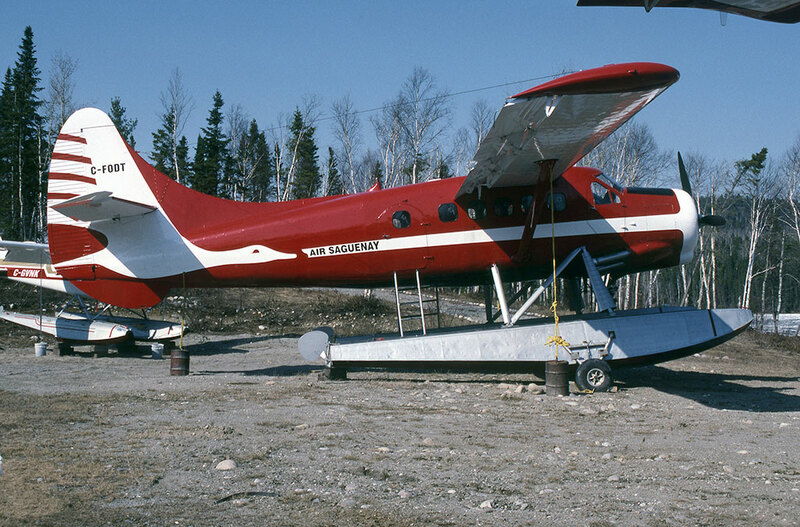 Otter 218 was delivered to the Ontario Provincial Air Service (OPAS) on 29 April 1957 as CF-ODT, registered to the Ontario Department of Lands & Forests. 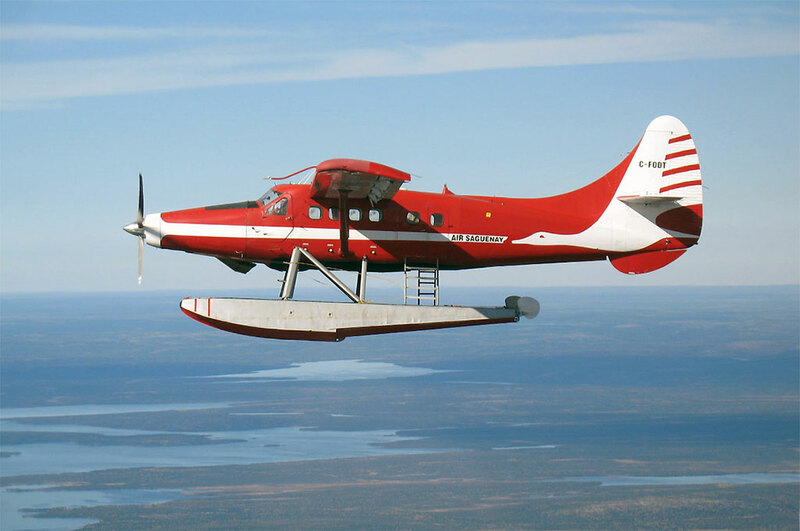 It was the sixth Otter delivered to OPAS and entered service alongside the others, based out of Sault Ste.Marie, providing bush air services to government agencies throughout Ontario. Its career with OPAS came to an end on 26 June 1961 when it was badly damaged in an accident at Dogtooth Lake, some 20 miles south-east of Kenora while water-bombing a forest fire. The pilot circled the fire, which was burning on an island. He selected a suitable area to pick up water and flew downwind. At about 500 feet above ground, a medium turn to the left was made with more than normal power because of the wind conditions. Near the completion of the turn, the left wing and nose of the aircraft dropped. The pilot applied power and right rudder but despite the corrective action, the Otter struck the water. The accident report concluded that “while approaching to land in a strong gusty wind condition the pilot lost control of his aircraft which collided with trees and then struck the water in a nose down attitude”. The pilot managed to get out as the aircraft sank and made his way to the shore. Subsequently an OPAS salvage crew working off a barge raised the Otter, salvaged what they could including the wings, but let the fuselage sink back to the bottom. The salvage rights were then sold and a more determined effort managed to retrieve the fuselage from the lake, and it was later noted at the Ontario Central Airlines hangar at Reddit, north of Kenora. In due course the Otter was rebuilt using another set of wings and sold to White River Air Services of White River, Ontario to whom it was registered as CF-ODT after the rebuild on 13 June 1968. It entered service with that company, painted into the White River colours, as part of its fleet of Otters. As an aside, the original wings which had been removed by the OPAS salvage team were returned to base at Sault Ste.Marie where they were found to be only moderately damaged. They were repaired and put into storage. They were used many years later by the Canadian Bushplane Heritage Centre at Sault Ste.Marie in the rebuild of Otter CF-ODU (369). 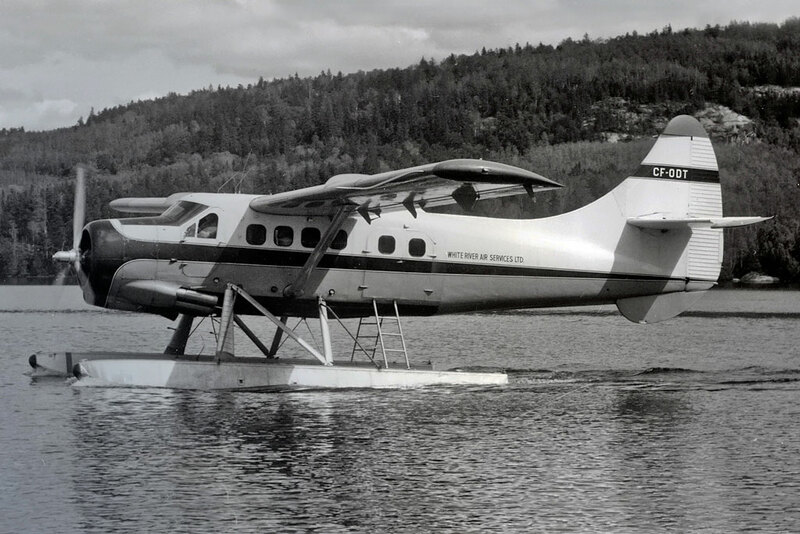 To return to Otter ODT, it went on to fly for White River Air Services for many years, serving the Ontario bush country, one of seven Otters operated by that company which had been formed by well-known Canadian aviation entrepreneur Stanley Deluce. For the summer of 1974 ODT was registered to and flown by Sault Airways, an associated company, but then reverted to White River Air Services. That year Mr Deluce bought Austin Airways, which had a base at Pickle Lake, Ontario. ODT continued to fly for the combined White River Air/Austin Airways and was painted into Austin Airways dramatic yellow overall colours with black / red / orange cheatline and was flown on amphibious floats. That continued until its registration to White River Air was cancelled on 6 July 1983 and it was registered to Pickle Lake Air Services. This was a company which Mr Deluce had formed to serve the bush country of Northwest Ontario from the base at Pickle Lake, where a large hangar was built. Also transferred to this company was Otter C-FBEW (140). Otter BEW crashed in March 1986 and was replaced by C-FBER (86), which flew alongside ODT. The operation out of Pickle Lake was sold in May 1986 to Frank Kelner, who formed Kelner Airways Ltd., trading as V.Kelner Airways but during 1986 operations continued under the name of Pickle Lake Air Services. BER crashed in September 1986 and was replaced by C-FDAK (157) which flew alongside ODT and the trading name of V.Kelner Airways replaced Pickle Lake A/S., and the Otter carried Kelner Airways titles. The registration of C-FODT to Pickle Lake Air Services was cancelled on 9 January 1987 and it was registered to Kelner Airways Ltd., on 2 March 1987. The mid to late 1980s were a very busy time in northern Ontario for floatplane operators due to a gold exploration boom. Kelner Airways sought to modernise its fleet, acquiring Twin Otters and Cessna Caravans. When these had been introduced into service, the DHC-3s were sold, ODT going to Waasheshkun Airways in July 1988. 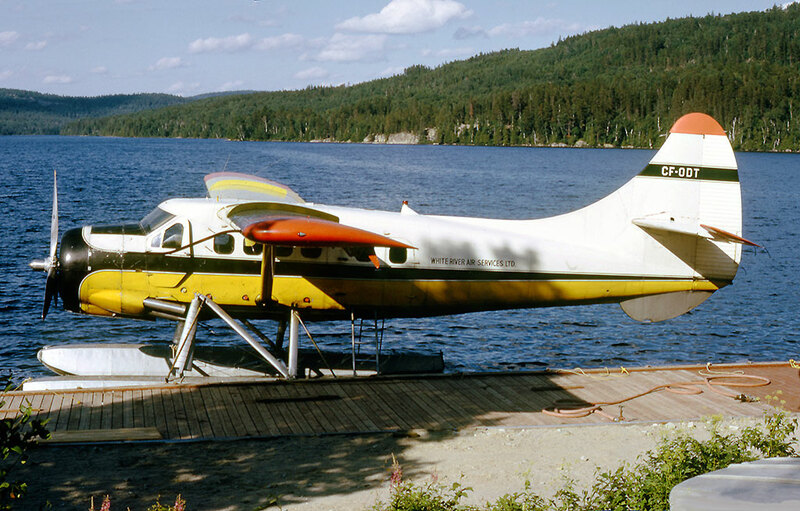 Kelner’s registration was cancelled on 13 July 1988, ODT being registered that day to Paul Petawabano, the owner of Waasheshkun Airways and the Otter moved to its new base at Mistassini Lake, Baie du Poste in northern Québec. Mr Petawabano’s registration was cancelled on 14 June 1989, the Otter then being registered on 1 November 1989 to Waasheshkun Airways. Waasheshkun Airways was a Cree Indian owned airline serving northern Québec, where ODT joined Otter C-FDIO (452) and Beaver C-GAXL. 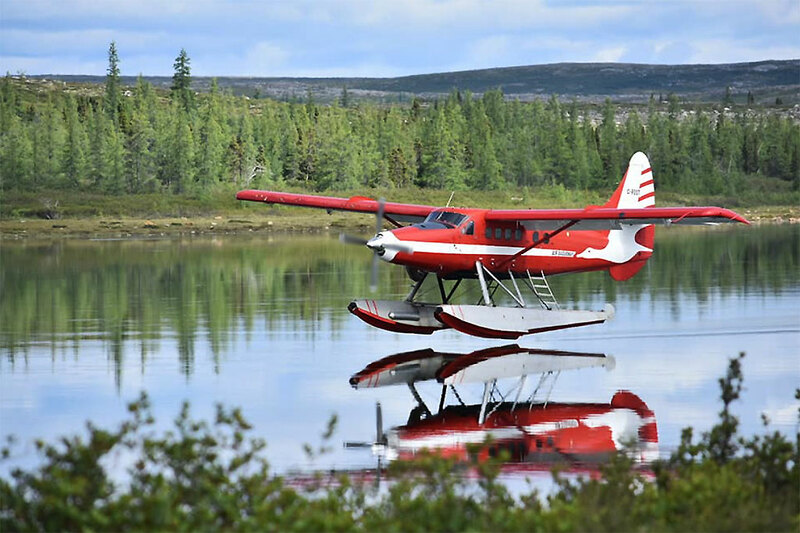 The airline’s main business was flying Cree trappers, fishermen and hunters into the bush and it was also supporting two fly-in fishing camps. ODT continued to fly for Waasheshkun Airways until its registration was cancelled on 24 March 1994 and it was registered that day to André Bernier Entrepreneur Forestier Inc., of St.Félicien, Québec, a logging company. Its use by this company was brief and on 1 June 1994 it was registered to Expeditair (1989) Inc., of Alma, Québec where it would serve for five years. Expeditair had acquired ODT to replace their Otter C-GLCO (420) which had crashed on 8 June 1994. ODT flew alongside the company’s two Beavers until Expeditair closed down at the end of the summer 1999 season. 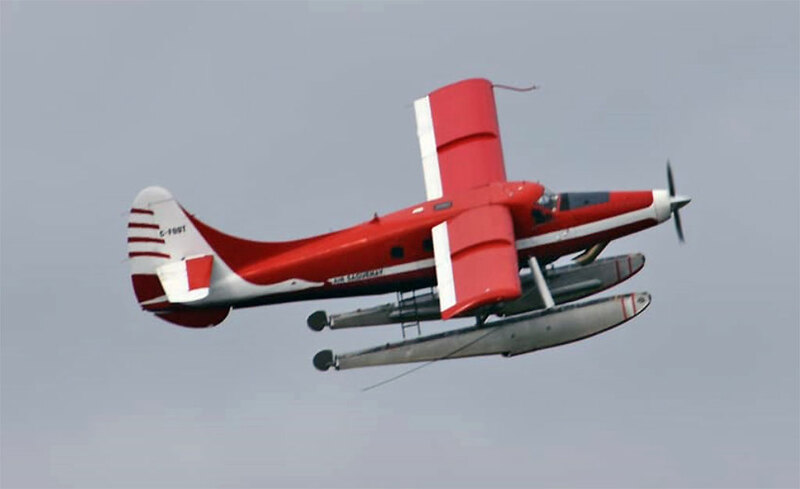 The Otter was sold to Air Saguenay, to whom it was registered on 23 September 1999 and joined their large fleet of Otters, based at Lac St.Sebastien, Chicoutimi, Quebec and was painted into Air Saguenay’s colour scheme. It would continue to serve the Quebec bush country with Air Saguenay for many years. ODT is mentioned in a Cadors report on 8 April 2004. While on approach to Sept Îles, the pilot communicated with the Québec flight service station on HF. He declared a VHF radio failure. He was passed the airfield conditions on HF and landed without incident. During the winter of 2005 / 2006 ODT was converted to a Texas Turbine Otter (conversion number twenty) by Recon Air at Geraldton, Ontario. It was Air Saguenay’s first turbine Otter, later joined by several more. ODT was involved in a most unfortunate accident on 19 April 2006 when it crashed into C-FKLC (255), another turbine Otter, at Lac Lagopède, Québec. C-FKLC was owned by Nordair Québec 2000 Inc. Both turbine Otters were on skis, operating from the frozen lake, supporting a mineral exploration camp. KLC was parked at the time. ODT arrived from Chibougamau and touched down on the frozen lake but could not stop in time and collided with KLC, causing KLC considerable damage, including its right wing, which was torn off. Only the leading edge of the wing of ODT was damaged and it was repaired and returned to service with Air Saguenay. In October 2012 ODT was noted undergoing a major overhaul in the Air Saguenay hangar at Lac Sébastien. During summer 2017 it continued to fly for Air Saguenay.